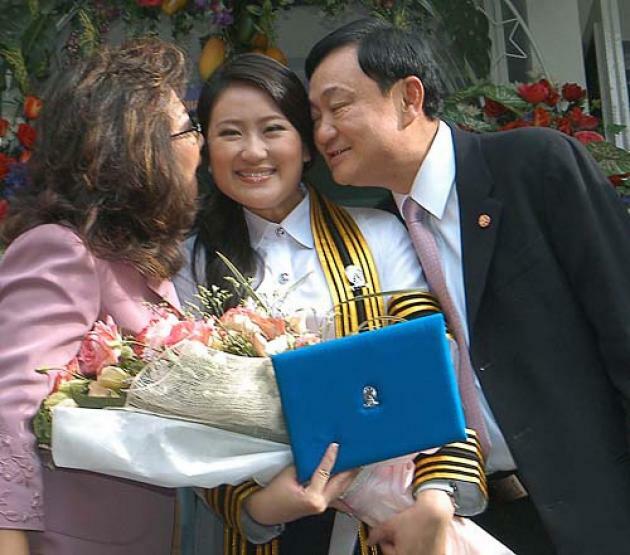 Cathay Pacific says a flight attendant who felt tempted to throw coffee on Paetongtarn Shinawatra, daughter of former Thai Prime Minister Thaksin Shinawatra, has lost her job. The Thai cabin crew member had reportedly posted on Facebook that Paetongtarn Shinawatra was “the daughter of my enemy”. Paetongtarn Shinawatra is said to have been on a flight from Bangkok to Hong Kong. A statement by the airline said the attendant was no longer an employee. It did not say if she quit or was sacked. Cathay Pacific said that it said it regretted the “unfortunate incident” and that it intends to personally apologize to the passenger in question. The statement also said it had investigated the matter thoroughly and concluded that the incident was “unauthorized”. Thaksin Shinawatra lives abroad after being ousted in a coup in 2006, but remains a polarizing figure in Thailand. His sister Yingluck Shinawatra is currently prime minister. Paetongtarn Shinawatra is one of his three children. According to Hong Kong’s South China Morning Post newspaper, the flight attendant’s Facebook post said: “I never expected that [Paetongtarn] was on board today. I immediately told my flight manager I could not work knowing the daughter of my enemy was on the plane. “I called my personal adviser asking if it would be all right to throw coffee at Paetongtarn, but was told that this could breach Hong Kong’s laws,” she is reported to have posted. The attendant has not made any public comment as yet.